Went through security at KC and a #Badgers worker looks at my bag and says: "Doesn't smell like Taco Bell in there." ???? 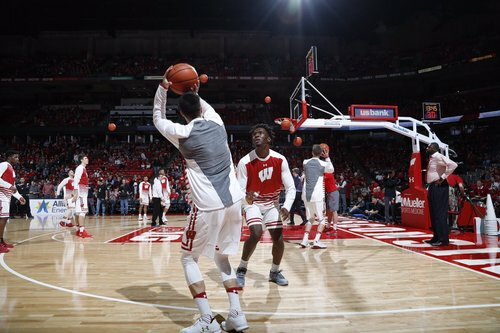 Hope you're enjoying the new subscription.
.@NIGEL_HAYES , @DMitrikTrice22 and the #Badgers are beginning to get loose at the Kohl Center. 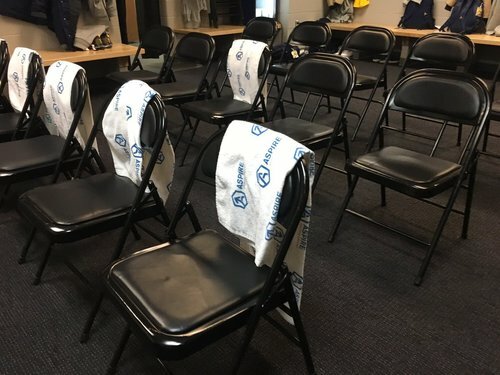 Tip in 1hr. Ready for ????? Officials for #Badgers -Michigan: Terry Wymer, Bo Boroski and Kelly Pfeifer. Tipoff at 8 p.m. CT. Tip at 8 PM (CT) on ESPN. Here's the starting lineup for tonight's game vs. @BadgerMBB ! *types into search bar "Compromising Photos of @JakeKocoB5Q "* Oh hey, y'all! It's @drewhamm5 here for the #Badgers /Wolverines game tonight. 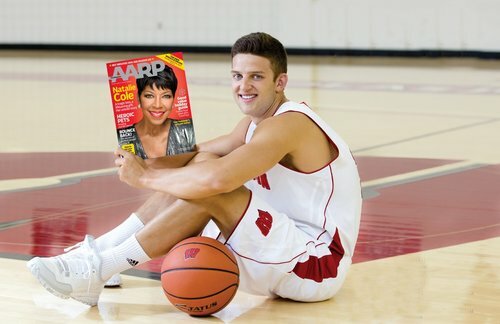 Women holding sign wishing #Badgers @ZShowbball333 a happy 33rd birth...um, 23rd birthday. ???? Wisconsin vs. Michigan coming up in 10 minutes. 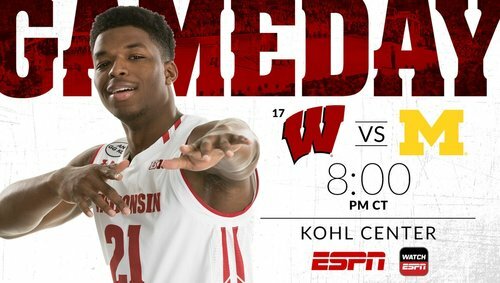 Badgers starting Hayes, Happ, Brown, Koenig and Showalter. Warming up at the Kohl. Tip vs. Michigan @ 8pm, ESPN. According to ESPN tip has been moved to 8:10 CST, so you have five minutes to grab a glass of bourbon and your Muck Fichigan t-shirt. Thanks Nick... Chryst is really good. I think next -- might come from within? 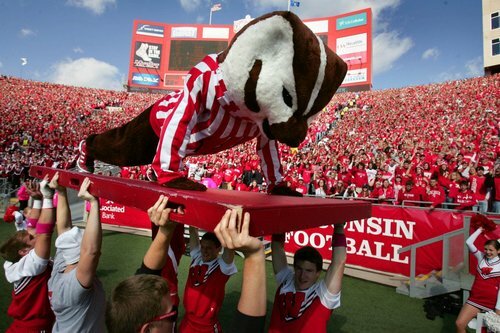 The #Badgers game is starting on ESPNEWS now while they figure out who to T up in UK/MSU. Come on over and join us! And ... we are underway in Madison! We're underway!! We'll start on WatchESPN until the finish of Kentucky/Mississippi State. 〽️???? #Badgers win the tip... we're live! Wisconsin and Michigan underway at the Kohl Center. Badgers move into a first-place tie in the Big Ten with a win tonight. Wisconsin in the home whites, the Grateful Red is back and Michigan is wearing pee yellow. Let's do this. Nigel from the low block... splash. 3TTO BROWN ALL DAY BABY??? ?